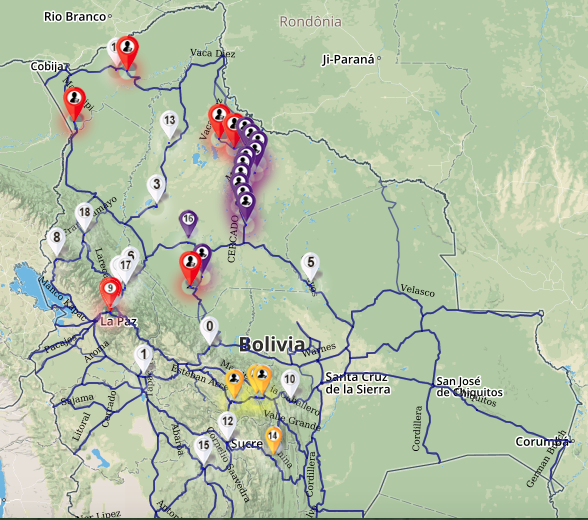 The road maintenance technician of the Bolivian Road Administration (ABC), Cristian Mendieta, informed on Monday that at the moment there are seven stretches affected by heavy rains throughout the national territory, which are in maintenance work to enable them in the coming days. 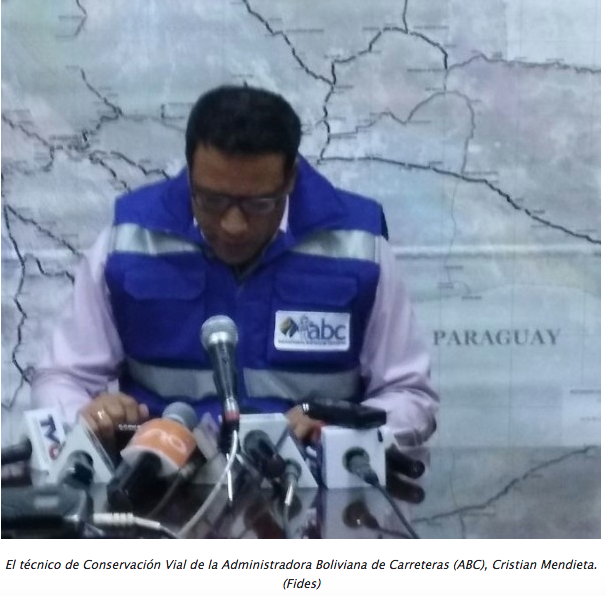 “At this moment we have six sections on the side of Beni and one on the side of La Paz, in emergency, on the side of Beni we have problems of rain, the section of Puerto Siles, the Estancia Barranquilla, on the stretch Santo Domingo – Monte Grande, they are impassable,” Mendieta said at a press conference. The official said that the Yucumo – Rurrenabaque stretches are also impassable; the section of San Javier-San Pedro; and finally in the stretch of San Javier-San Ramon, places that are currently mobilized ABC staff, to achieve the rehabilitation of the sections. On the other hand, Engineer Orlando Rojas informed that in La Paz, the Unduavi-Puente Villa stretch, is with machinery that will replace the platform in the sectors lost by the rains and that in three months will be enabled for the circulation of both private and heavy transportation. This entry was posted in Beni, Bolivia, Business, Environment, La Paz, Social Unrest and tagged rainy season, roads, weather. Bookmark the permalink.